Mr Karlsen said this on Friday in Abuja at a joint news conference by the European Commission in Nigeria and the National Emergency Management Agency (NEMA). This is even as Director General NEMA, Mustapha Maihaja, disclosed that the Federal Government had released N3 billion for flood victims across the country. Mr Karlsen said the funding was to provide shelter, medicine and other basic items for an estimated 60,000 people in Anambra, Kogi and Delta states. 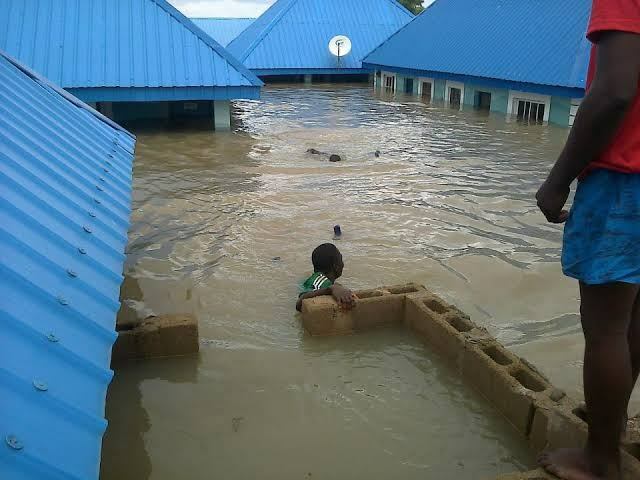 “We have responded decisively to the calls of Nigerian government to seek help from the international partners in a situation where the ongoing flooding in the country has affected around two million people. “The European Union has mobilised one million Euros (N400 million) in support of the ongoing efforts. “This funding aims at helping the victims in the most affected states, to help provide shelter, medicine and basic items for an estimated,” he said. He also disclosed that EU has provided technical expertise and detail satellite maps to aid management services. He however said Nigerian government must acknowledge the fact that the adverse effect of climate change is having a critical impact on its people. He therefore strongly encourages government to redouble efforts to proactively prepare for future occurrence. He said the EU support was not limited to humanitarian aid but also included efforts to mitigate the effect of flooding through early preparation. The envoy assured that the Commission would follow up on a clear supervision and monitoring to ensure that the materials are being delivered as urgently as possible to the affected people. He also disclosed that the European Civil and Humanitarian Aid Organisation (ECHO) has provided 48 million euros this year to support the victims of the Boko Haram insurgency in the North East. Mr Maihaja in his remarks said flooding had displaced over two million people, 199 lost their lives and 307,554 hectares of farmland destroyed. He said, the assessment of the farmlands could not be completed as many pieces of the farmland were still under water. The director general said that the number of affected people keeps increasing as the water is creating more havoc as it flows down. While lauding the EU for the support and assured that funding would be judiciously used added that the agency had put mechanism in place to monitor distribution of relief material. “We carry out direct distribution to the people. Our officials go to the remotest parts Nigeria to distribute the relief items,” he said. The EU Commission has provided the agency with data, information and corresponding analysis for the flood situation, metrological situation, dam water release scenario and impact assessment.